We already love Sheboygan for its gorgeous lakefront, sandy beaches and coastal vibe, but even when the leaves turn and the temperatures drop, Sheboygan has plenty of fall and winter activities to keep you busy all year long! From a scenic (and historic!) Segway tour, to craft beer, Oktoberfest and festive holiday events, there’s no doubt that Sheboygan isn’t just for summertime! 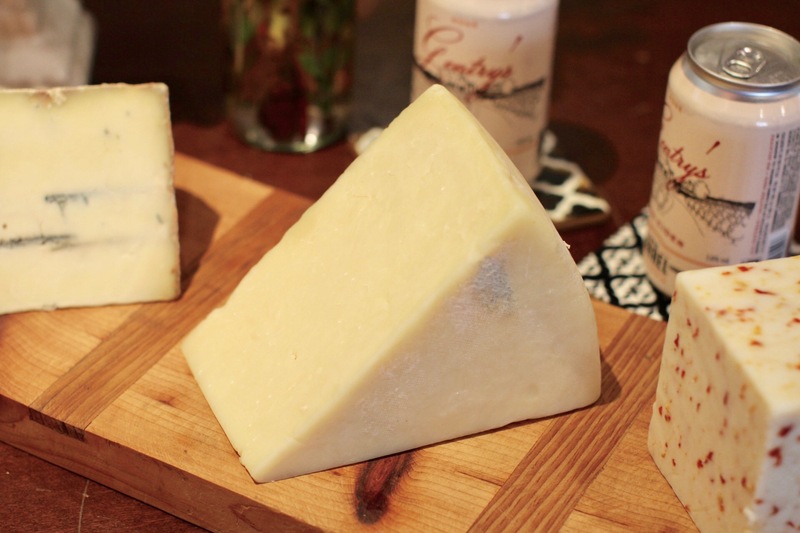 You may have heard that Sheboygan is the Brat Capital of the World, but we’re guessing that we’ll surprise you with a few things we discovered in Sheboygan. Being on Lake Michigan, sailing is a great way to spend time on the water; but did you know Sheboygan helped bring a new event to the Summer Olympics? If you want to sample Italy, we found the restaurant for you. Ever make your own soap? We’ll show you where. And when’s the best time to surf in Sheboygan – yep, we said surf. Even when the temperatures take a dip, Sheboygan has plenty of fall and winter activities to keep you busy all year round! Sheboygan is gorgeous in the fall! Thanks to Sheboygan Segway Tours for a fun day! Spend your vacation at Lake Michigan's largest lakefront resort, Blue Harbor Resort & Spa. Heavy wind or no wind, there's always something to do on Lake Michigan! Enjoy all that Sheboygan has to offer, on two wheels! Take a walk on North Pier to take in Lake Michigan and the Sheboygan skyline. For a complete Sheboygan experience, stroll the Riverfront and South Pier to shop, snack, dine, play and so much more. As one of only five U.S. Sailing Centers, Sheboygan welcomes sailors from all over the world to take on Lake Michigan. Sheboygan knows what'SUP! When the breeze takes a break, stand-up paddle boarding takes over. Ride the waves in the Fresh Water Surf Capital of the World! Mariah is ready to sample some brews at the Blue Harbor Craft Beer Festival! Views like this are one of the reasons we love Sheboygan! The Lottie Cooper shipwreck is one of the stops on the Sheboygan Segway tour. One of many trails open for cross country skiing, hiking and snowshoeing at Maywood Environmental Park. The DW Crew films at Maywood Environmental Park. Eric enjoys the music at Al & Al's Steinhaus annual Oktoberfest celebration. Eric enjoys a beer with Frank, an Oktoberfest regular. Eric got to meet the winner of the wiener dog race! Wearing lederhosen is encouraged at Oktoberfest! Maywood Environmental Park is beautiful in the winter. Eric & David hit the trails at Maywood Environmental Park. The trails at Maywood Environmental Park are perfect for snowshoeing in the winter. Mariah learns a traditional 19th century party game at Wade House. Mariah makes some 1840s holiday decorations at the Wade House Christmas celebration. An authentic 19th century-style Christmas tree is on display at the Wade House Christmas celebration. Visitors will enjoy 19th century Christmas music during the Wade House Christmas celebration. Sample a number of 3 Sheeps unique brews at their new tap room! Eric can't wait to start sampling! Making Spirits Bright lights up Evergreen Park during the holiday season! The car tunnel is a visitor favorite at Making Spirits Bright! Over 250,000 lights make up the displays in the Making Spirits Bright holiday lights display. The vintage, animated window displays from H.C. Prange department store in Sheboygan are on display at the Holiday Memories exhibit at the Sheboygan County Historical Museum. Did you know Sheboygan is considered the Bratwurst Capital of the World? To enjoy a brat the "true" Sheboygan way, make sure to try the brat plate at Sly's Salooon in downtown Sheboygan! An annual tradition for decades, Greek Fest is three full days of authentic Greek food, pastries, beer and wine, traditional music and dance performances! Sheboygan’s Hmong Community invites the public to share its culture through food, clothing, crafts, and soccer and volleyball tournaments. Among the 135 artists showing their work will be familiar and new faces from throughout the U.S. Paintings, photographs, furniture, jewelry, wearables, wood carvings, ceramics, glass, leather goods, sculptures, textiles, toys, and more will be presented for purchase. Food vendors will offer a wide range of fare, from Sheboygan County’s famous bratwurst to ethnic cuisines and ice cream. The lawn on the west side of 7th Street at New York Avenue will be the place to enjoy terrific music by nationally acclaimed bands and inspiring local musicians. Held along the shores of Lake Michigan near the beautiful Deland Park in Harbor Centre Marina, the two-day basketball tournament is open to players of all ages and abilities. Put 715 Broughton Drive, Sheboygan into your GPS and head towards the fun. The tournament, run by dozens of dedicated volunteers, benefits the Boys & Girls Clubs of Sheboygan County and Lakeland College. Great onsite food and concessions will be available, in addition to Sheboygan’s fantastic restaurant scene. For those of you looking for additional quality family time, be sure to indulge and enjoy the soft sands of Lake Michigan. The clean, blue water is located just steps away from the tournament. For more information about Sheboygan Gus Macker Tournament, contact Bob O’Hara atrohara@thepositiveplace.com or 920-467-9733. 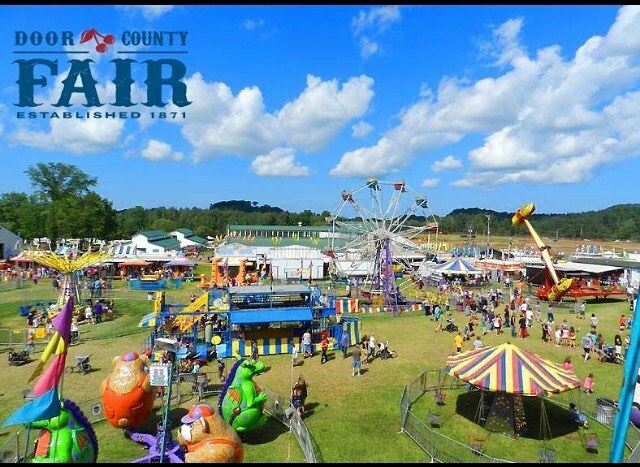 What better way to enjoy all that is Sheboygan County – brats, fried foods, animals, rides, music, entertainment – find it all at the County Fair! Labor Day weekend in Sheboygan, has become an annual gathering of surfers from all corners of the world to celebrate the beginning of surfing season in the Midwest. Highlights of this year’s extravaganza include the tapping of the Oktoberfest Keg by MAYOR MIKE VANDERSTEEN at NOON on Saturday. Entertainment for the event includes LIVE MUSIC on Friday from 7:00 – 10:00 PM, and Saturday’s entertainment schedule begins at 11 AM. In true Sheboygan style, authentic Eisbein, Schnitzel, Rollbraten, Haus-made Bratwurst, Rueben Wraps, Kraut and German Potato Salad and more will be served all day.